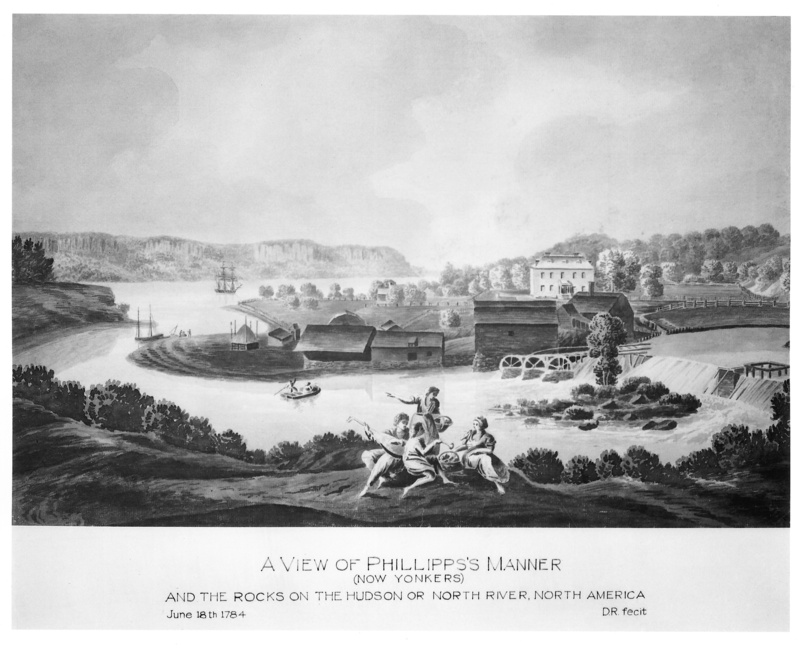 Philipse Manor Hall still sits on its bluff in the city of Yonkers, where it was constructed in 1682 by Margaret Hardenbroeck and her husband Frederick Philipse, at the junction of the Hudson River and a rushing stream local Indians called the Nepperhan. The couple was already extraordinarily wealthy from trading furs, and would eventually own 57,000 acres of land stretching from Spuyten Duyvil up to the Croton River. Successive generations of Philipses lived in the house, enlarged it, decorated it, planted rose gardens outside its front door and tended a deer park out back. When the American Revolution concluded, the family’s members, staunch Loyalists all, were “attaindered for treason,” booted out of the new country in 1783 with little more than the clothes on their backs. Most fled to England, leaving Philipse Manor Hall to the state of New York, which cleaved the huge property into 287 parcels and sold them to the tenant farmers who had always worked the land. The Manor Hall and its environs looked almost paradisiacal then, with the Nepperhan River rushing down to the Hudson. Flash forward one hundred years. 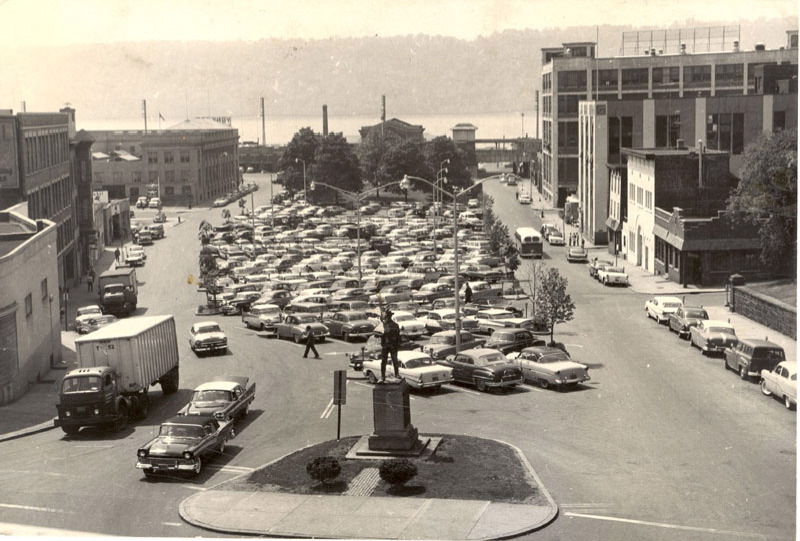 The handsome house still stands, but Yonkers has been bit by the bug of industry, in a big way. Everything from pencils to hats to elevators are making residents rich, with factories that employ the Nepperhan’s surging water power. The river grows polluted by factory waste. People who live and work on its banks get sick. The city fathers won’t have it. By 1868, Philipse Manor Hall has been transferred from private hands and is now Village Hall. 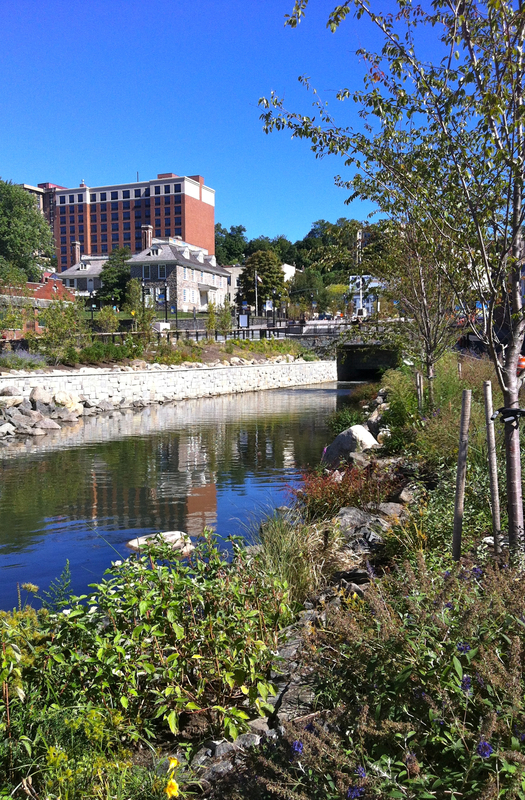 What shall we do about the river? Bury it. That solves two problems at once, giving us an hygienic environment and more parking. 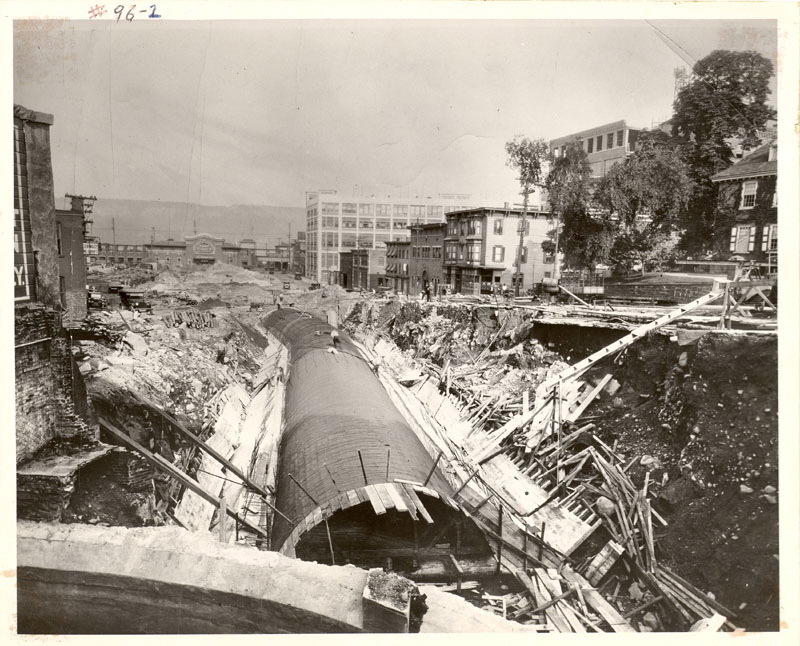 From the 1920s until today, the Nepperhan ran under the city of Yonkers in its flume, secret and silent, largely forgotten. But something remarkable happened. People decided they wanted the river back. The Nepperhan has been “daylighted,” the term that means opening up the long-disappeared river to run aboveground once more, a feat of mental magic and engineering acumen. Many people made it happen, including Groundwork Hudson Valley. The plants along the river’s banks are still immature. And this new incarnation lacks the strenuous rapids and waterfalls of the old river. But the Nepperhan has reclaimed its place in front of Philipse Manor Hall, a reunion to warm the hearts of anyone who has a sense of historical justice. And something to warm my heart in particular: an explanatory sign that cites Margaret Hardenbroeck as a she-merchant. I like to think that I had some small hand in bringing Hardenbroeck out of obscurity with my book The Women of the House.